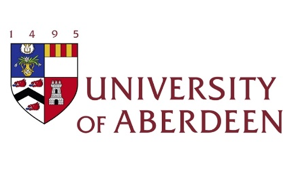 The University of Aberdeen, in collaboration with the Horizon 2020 Marie Skłodowska-Curie programme, is delighted to offer 6 Early Stage Researcher (PhD) positions, lasting 3 years starting in September 2019, for ground-breaking research on how political concepts, such as citizenship, sovereignty, constitutionalism and rule of law, are used in the world. ESRs will complete a PhD with an inter-disciplinary supervisory team and benefit from a world-class training programme, including placements with one or more of our 23 international partners. They will also actively participate in the activities of the Centre for Citizenship, Civil Society and the Rule of Law (CISRUL). ESRs will be employed by the University on a salary of £26,489.40 per annum, and will be eligible for a range of additional benefits including ample travel and research funding. Applicants are free to propose their own project, but one of the topics that we invite applicants to consider is Rule of law and constitutionalism. In most modern political systems, the exercise of political power is mediated by law. As Lon Fuller famously claimed, governance by law is a distinctive form of governance that is different from both managerial direction and psychiatric manipulation. Government by law assumes that those who are ruled are capable of understanding and acting upon reasons and have their own perspectives on the rules they are governed by. The rule of law and constitutionalism, two ideas that are closely related to this distinctive form of government, have such a strong appeal that even autocratic regimes pay lip service to them. PhD proposals are invited to explore the more specific content of these ideas and/or carry out research on the relationship between the ideas and the reality of constitutionalism and the rule of law. (As some authors would say, many countries have constitutions without constitutionalism.) Proposals are also welcome to discuss whether the “juridification” of politics went too far. Constitutions do not only limit governments but they also enable or empower political communities by specifying the nature, the identity and the purposes of a political community. Using Stanford Levinson’s term, constitutional faith can be a central element in the civic religion of a political community. Proposals are also invited to explore that role of constitutions in the legitimation of states. Digitalising ‘democracy’ – transforming the concept? We welcome applicants from across the social sciences and humanities, including anthropology, cultural and literary studies, education, history, legal theory and socio-legal studies, philosophy, politics, religious studies, sociology, and theology. Candidates are required to meet the Marie Sklodowska-Curie Early Stage Researcher eligibility criteria. In particular, at the time of the appointment candidates must have had less than 4 years full-time equivalent research experience and must not have already obtained a PhD. Additionally, they must not have resided in the UK for more than 12 months in the 3 years immediately before the appointment. Any appointment will be offered a contract of employment that will be conditional upon satisfactory references, a 12 month probation period, the fulfilment of any conditions specified in the offer of a place on a PhD programme, and confirmation of the right to work in the UK and ability to secure a valid visa, if required, from UK Visas and Immigration. Deadline is 5th of March 2019. Please click here for Further Particulars and details of how to apply. This project has received funding from the European Union’s Horizon 2020 Research & Innovation programme under the Marie Skłodowska-Curie grant agreement No. 754326.